Welcome to the West. All photos courtesy of The Ranch at Rock Creek. 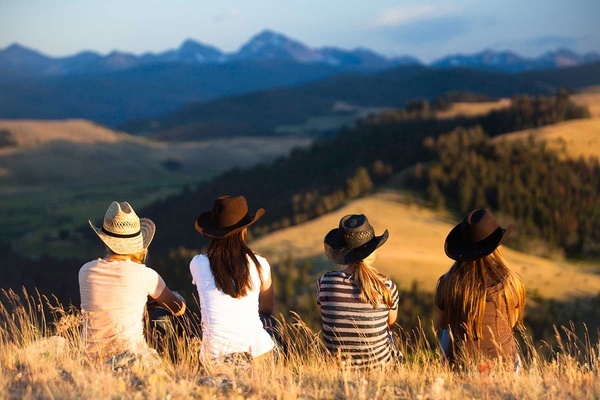 Alex Erdman of bespoke travel consultancy checks into a dreamy, all-inclusive Montana ranch with luxury cabins, local and seasonal restaurants, wide-open ranges, and outdoor activities for the free spirit. Check out our slideshow and see for yourself. The story of is romantically Western. In the 1960s, a little boy from New Jersey fell in love with Western movies and made his daddy a promise. 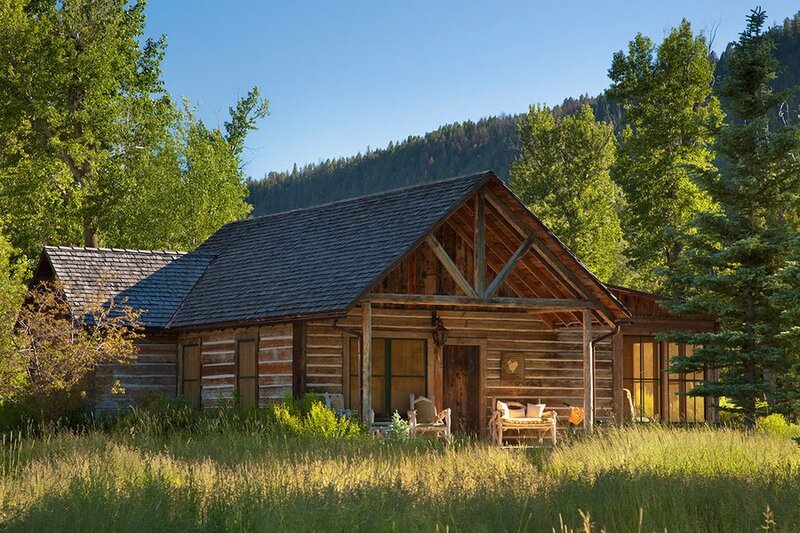 Years later, Jim Manley set out in search of his dream property — a ranch at a specific altitude, neighboring a mountain range, with a river running through it. After 20 years of searching, he found a 6000+ acre property in Montana. Jim flew out that day to put in an offer. 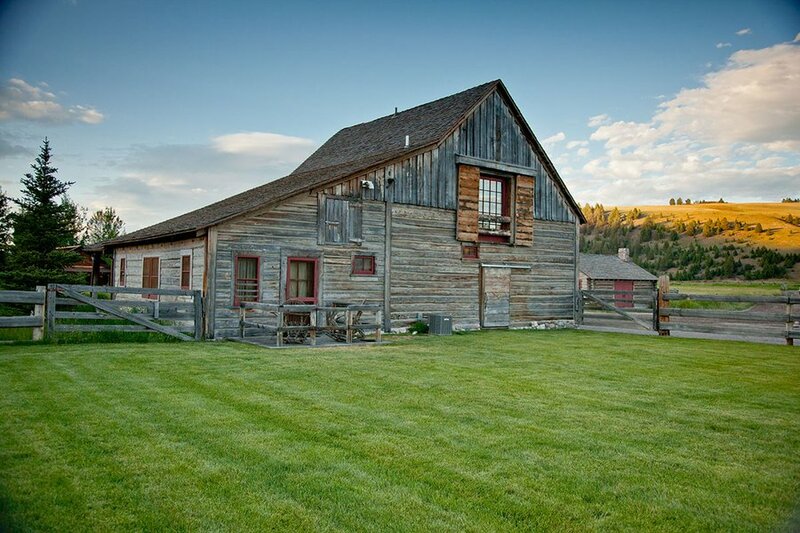 The homestead, located an hour and a half from the Missoula airport in a pristine valley near Philipsburg, Montana, started as the family's private vacation home and expanded to accommodate the constant flow of visiting friends, eventually, turning into a guest ranch in a beautiful landscape. The experience feel authentic, not fabricated. 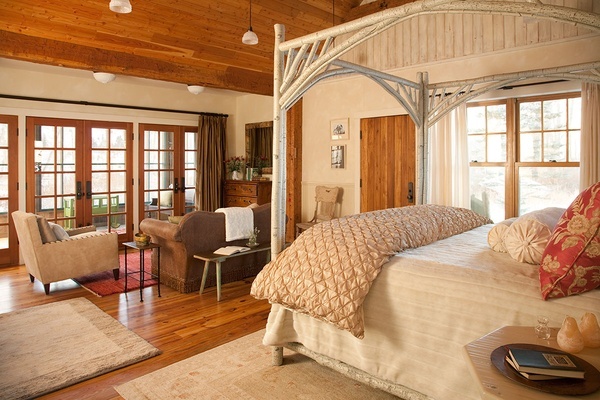 Guests zip around on mountain bikes (provided for each room), dressed in cowboy boots, jeans, and flannel. 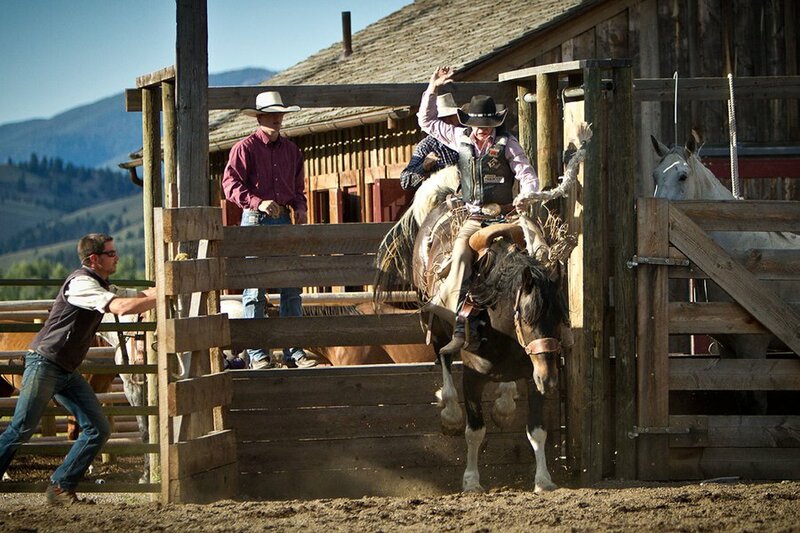 The staff comes from all over the country, but many grew up riding in rodeos, shooting on collegiate teams, and fly fishing in rivers from Patagonia to Mongolia. 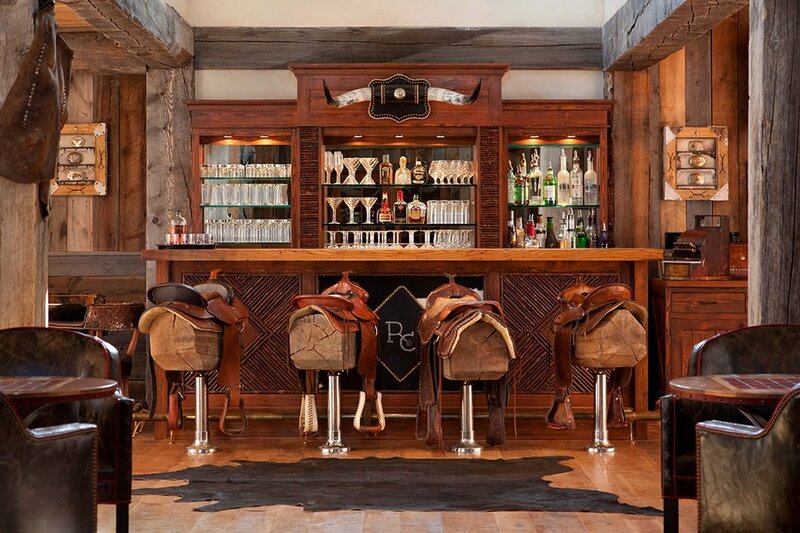 The recently completed event barn hosts dinners, line dances, and weddings (for the lucky few). In the summer, guests are treated to dinner and entertainment every night in a weekly rotation of rodeos, line dances, and BBQs. Of special note: wranglers Roadie and Bronc, the six- and two-year-old sons of barn manager Joe. Horseback riding, archery, rifle and clay shooting, fly fishing, hiking, mountain biking, rope climbing, and more are all available on the ranch. Whitewater rafting and skiing are located nearby. 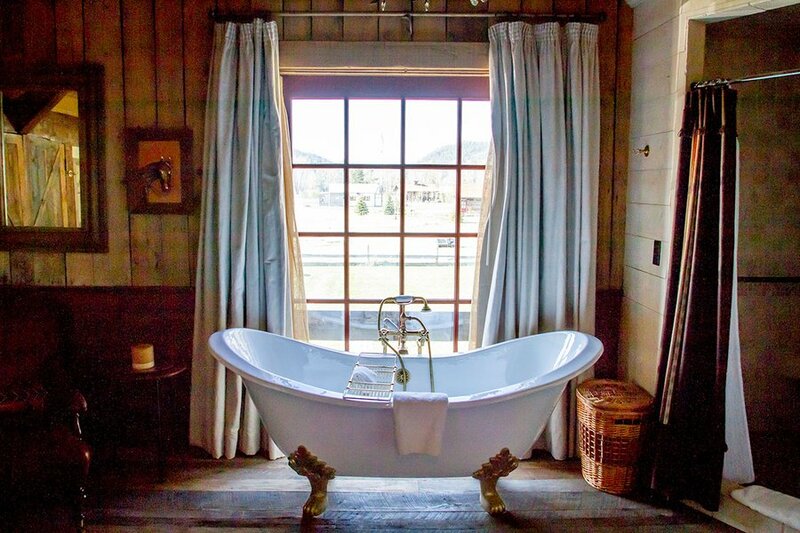 There's a spa for TLC after long hikes and a saloon with a four-lane bowling alley, pool tables, and a screening room. The gift shop is legendary, so any forgotten swag can be purchased on property, like cowboy hats, backpacks, and miniature Western shirts for kids. There's really no reason to leave once you arrive. WiFi is wonderful and available in all common areas and lodging, though cell phone service is not. The ranch sources its ingredients from the local community to stimulate the economy and provide some of the best produce and meat in the region. Chef Josh Drage decided to forgo a greenhouse to support local dairies, farmers, and cattle ranchers. The food varies from modern to traditional, precious to rustic, and is always delicious. 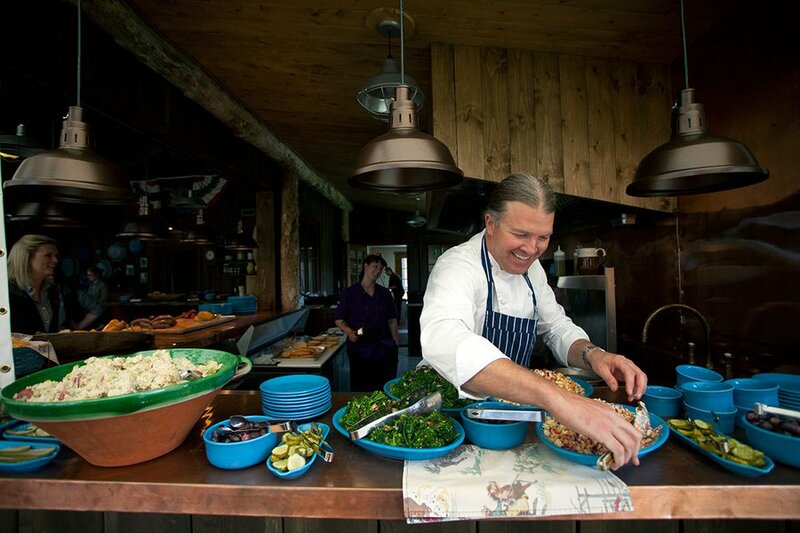 Restaurants are located in the Granite Lodge and Blue Canteen, but every night in the summer a new dining venue is chosen for BBQs, line dances, and rodeo. 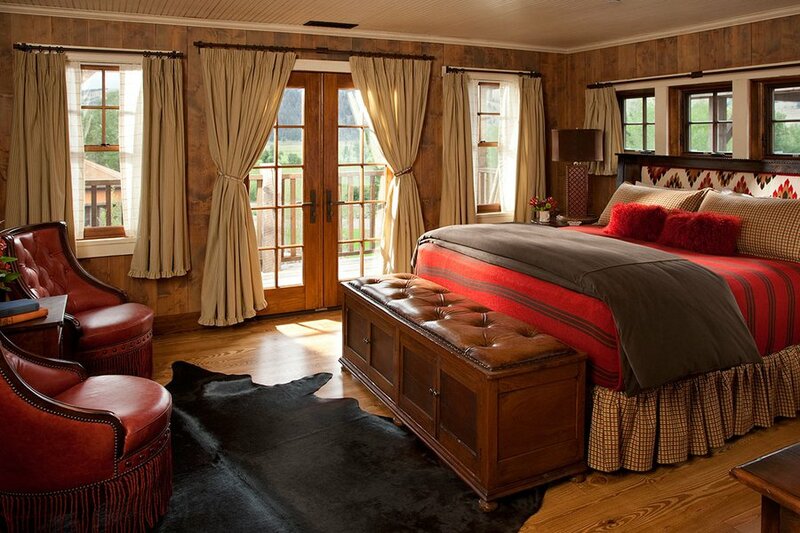 The 29-room property has single rooms in the main lodge, tented cabins, and five-bedroom homes. 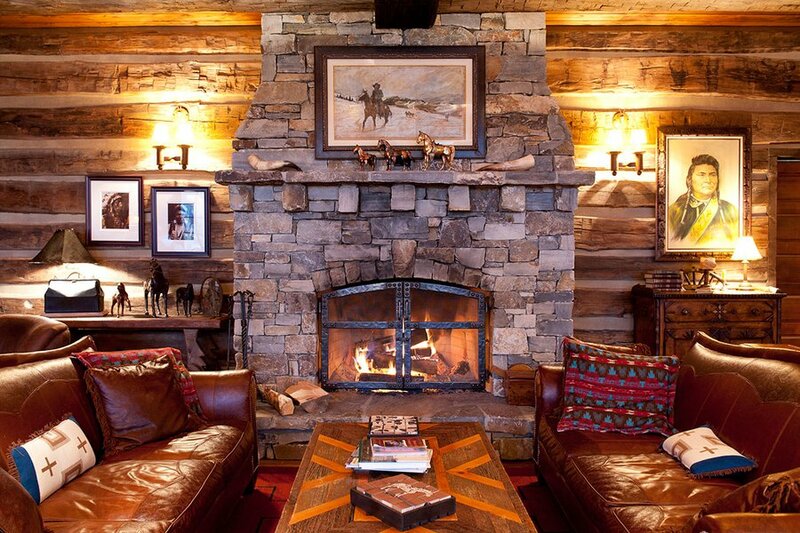 The décor is mountain-chic — dark woods, plaids, leathers, and antiques. 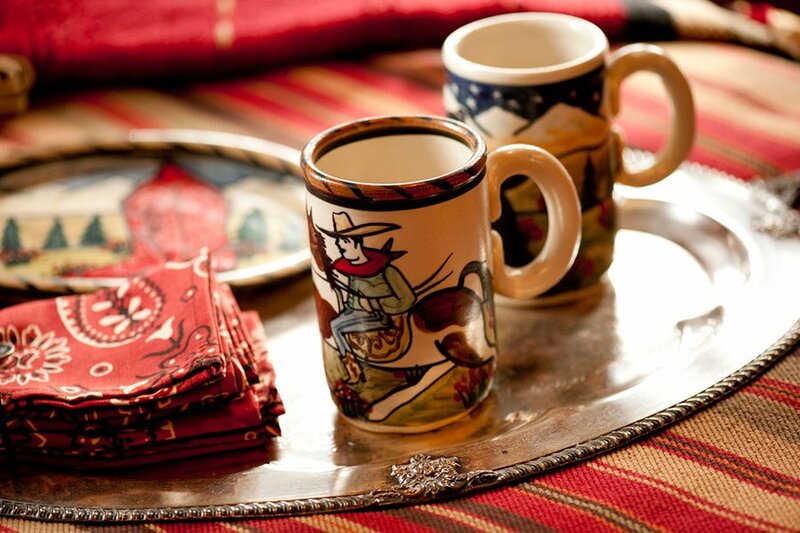 Every corner is adorned with a handpicked item or old-timey photograph. Stay in a gorgeous tent by the creek. Falling asleep to the sound of rushing water with a fluffy duvet and roaring fire is an experience in itself. 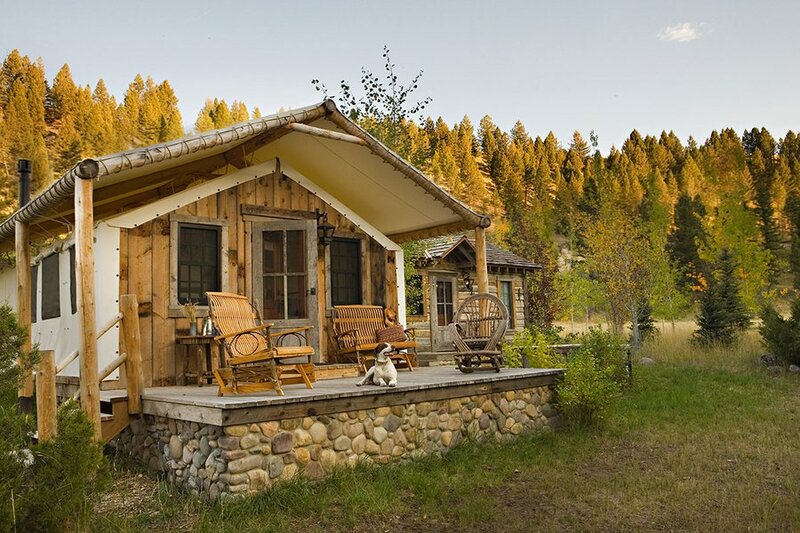 Guests who don't love the idea of glamping can stay in individual rooms in the main lodge and two- to five-bedroom homes scattered throughout the property. The homes are expensive (rates are generally based per person, per day), while rooms are a bit more affordable. 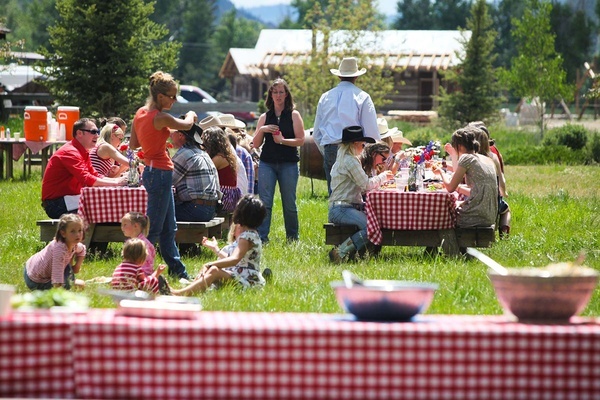 Couples, families, and groups looking for an authentic, five-star ranch experience. Also ideal for multigenerational trips, company outings, or weddings. Those who don't enjoy the great outdoors. 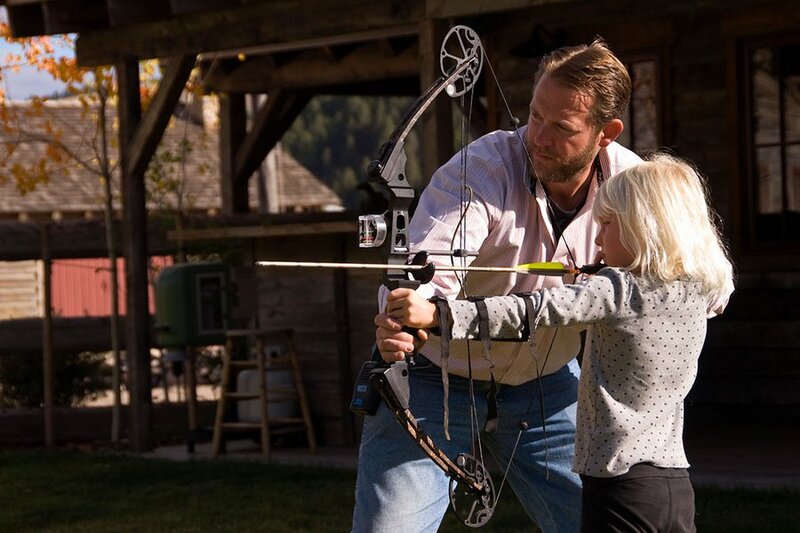 Winter and summer activities revolve around experiencing all that Big Sky Country has to offer. Located on 6,600 acres of Montana ranch land, the property is a nature-enthusiast's dream. 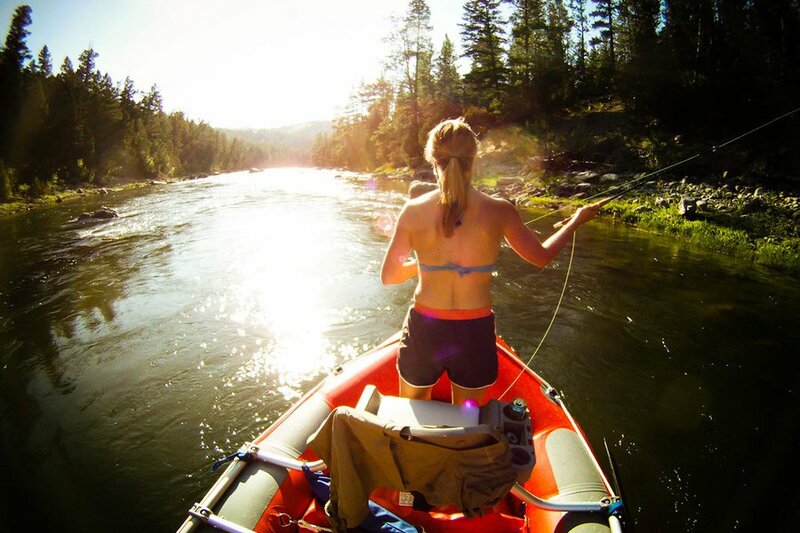 Hiking and biking trails abound, and a river with more than 2,000 fish per mile runs directly through the center of the property. 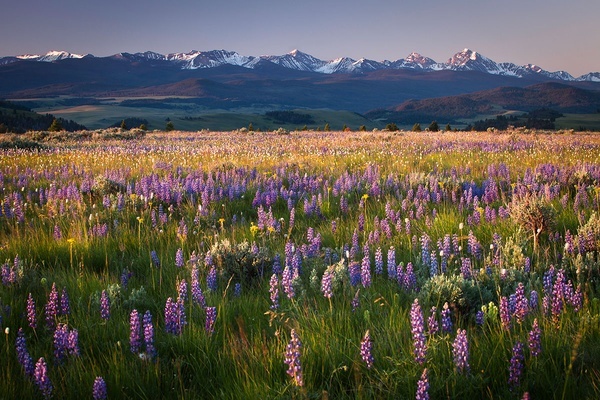 If you haven't experienced Montana before, you'll understand why it's called “Big Sky” after visiting. The closest town is Phillipsburg, Montana, population 900. Like most small towns, Phillipsburg has many bars (where, at night, you may be lucky enough to witness a real Western bar fight) and one of the country's biggest and best candy stores. On one visit, we found ourselves alone in the shop and giggled, pillaged, and sugar-hoarded like small school children. 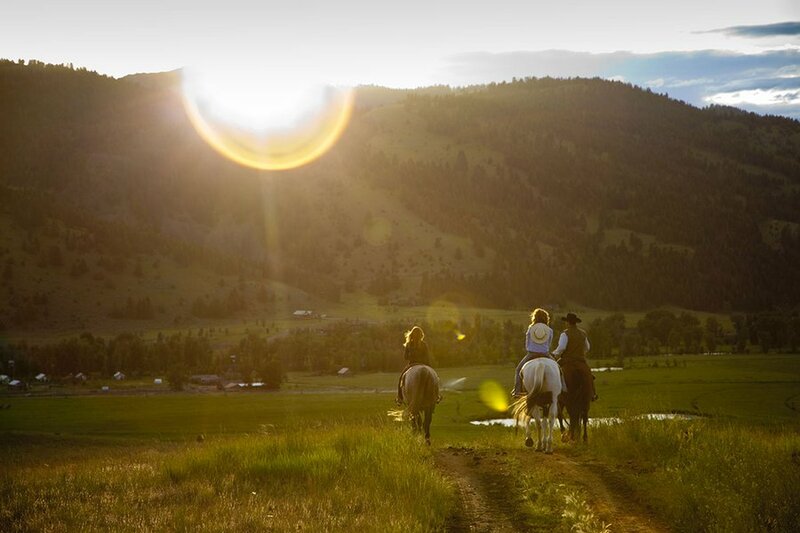 Getting to the ranch can be difficult, as direct flights are only seasonal from the east coast, but once you arrive there really is no need to leave. 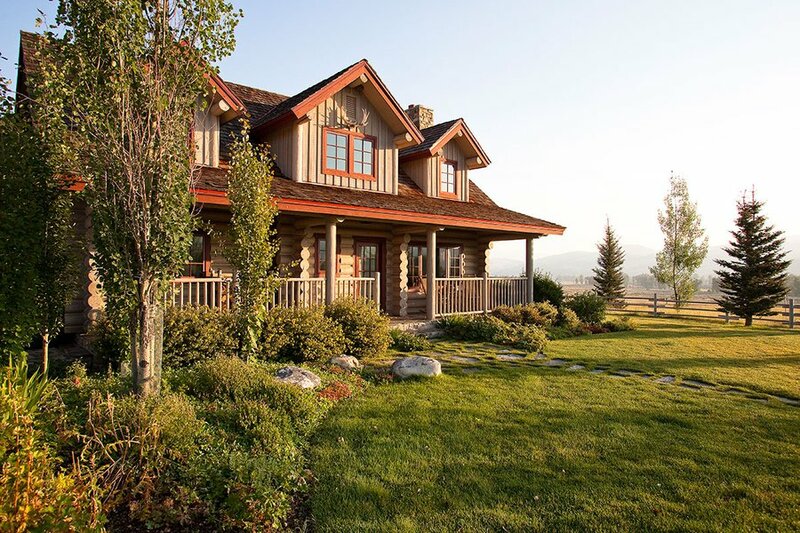 Compared to other five-star ranches, the pricing can seem high. All activities, meals, and drinks are included, while competitors (like Paw's Up) charge a la carte.